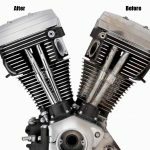 As we gleaned from recently revealed CARB documents, Harley-Davidson has introduced two new liquid cooled engines. The new engines use a combination of air-cooling and precision liquid cooling, similar to what BMW did with its 2013 R1200GS. 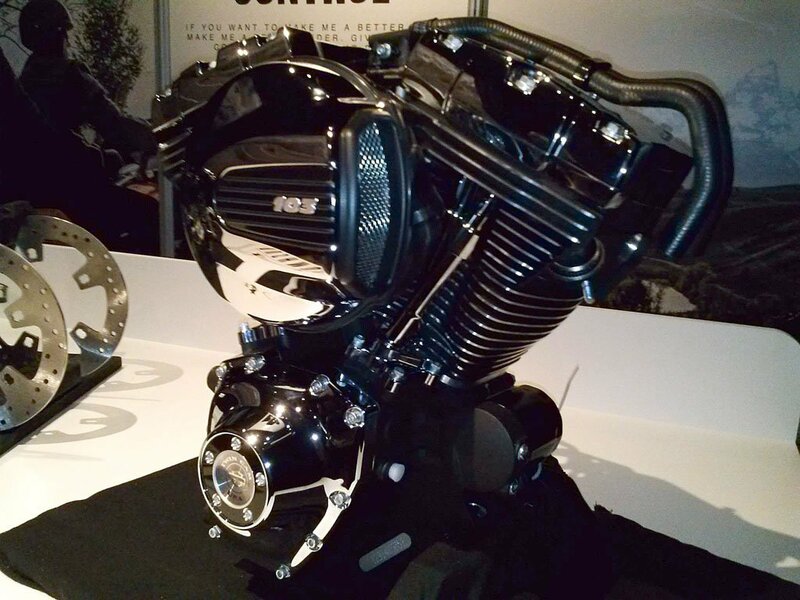 One version of the engine, dubbed the Twin-Cooled High Output Twin Cam 103 will be used on the 2014 Harley-Davidson Ultra Limited and the Tri-Glide Ultra trike while the CVO Limited will use a 110ci engine known as the Screamin’ Eagle Twin-Cooled Twin Cam 110. 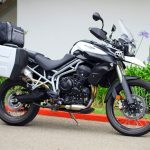 The new engine routs liquid-coolant through the cylinder heads around the exhaust valves to ducted heat exchangers covered by the left and right fairing lowers. The result is lower cylinder head temperatures, allowing the engine to run more effectively at its peak performance level. 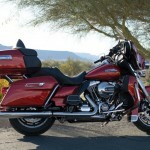 The cooler temperatures also make for a more comfortable ride, especially in stop-and-go traffic in warm weather. 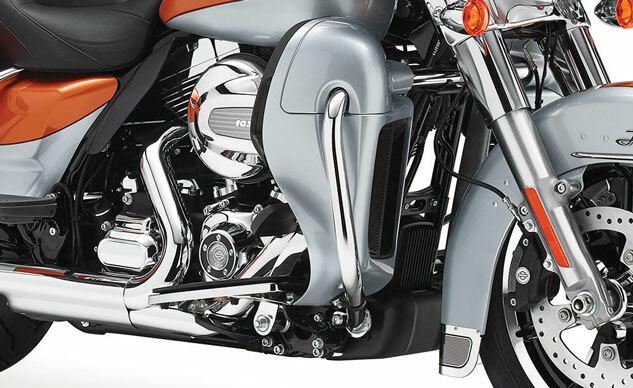 According to Harley-Davidson, the precision cooling allows for a higher 10.1:1 compression ratio compared to 9.7:1 on the non-Twin-Cooled engine. 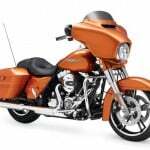 Harley-Davidson claims a peak torque output of 105.5 ft-lb. rpm from the Twin-Cooled 103 engine compared to 104.7 ft-lb for the also-revised for 2014 air-cooled engine and 100 ft-lb. from the 2013 air-cooled engine. 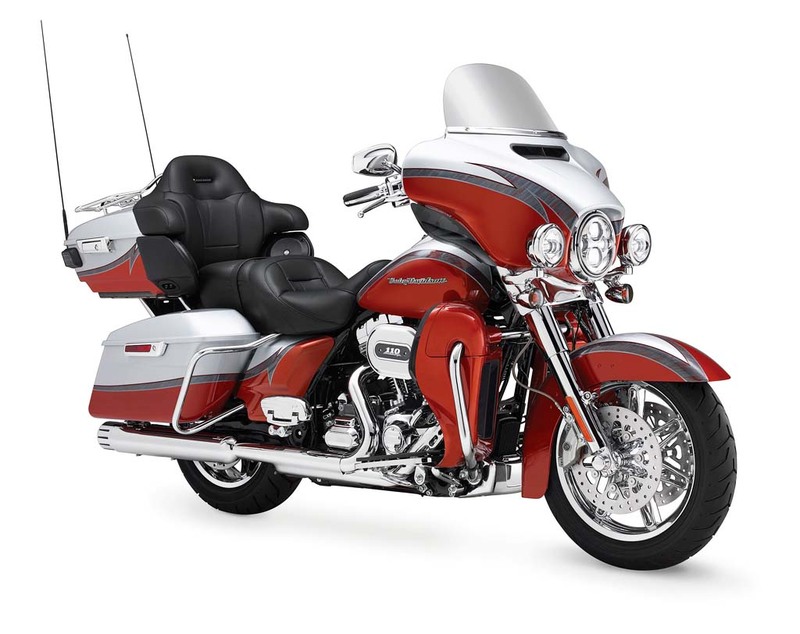 The Screamin’ Eagle Twin-Cooled Twin Cam 110 engine however has the same 9.2:1 compression ratio as the CVO line’s also-revised Twin Cam 110 engine but at 115 ft-lb. 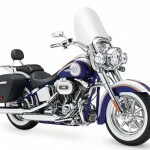 at 3750 rpm offers slightly less torque than the air-cooled engine’s 116.5 ft-lb.